Transitioning from a small community in Hungary and adjusting to the vastness of the United States was a huge cultural shift. It instilled toughness and resilience in me. My father’s bravery—relocating our family to achieve a better life—instilled determination. Bullying in school, which I overcame through toughness, also taught me to be compassionate to everyone, no matter their background or challenges. I received my business degree from CSUN in 2001 and later graduated from UNLV dental school—choosing the latter because of its technology-driven dental school programs. It was here that I honed my skills and fell in love with the art and science of dentistry. 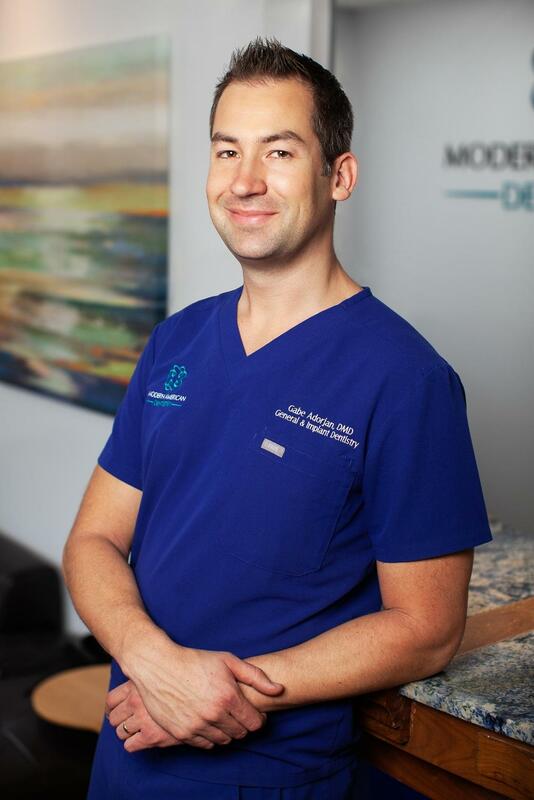 Today, I take a keen interest in oral surgery and implant dentistry, which are my favorite procedures to perform because they are both professionally challenging and transformative for the patient. In my Woodland Hills, CA dental office, I treat patients the way I would treat a family member, always asking myself what I would decide if this patient were my mother, father, brother, or child. I find that a hand to the shoulder or reassurance during a dental procedure really makes a difference, and I love guiding patients toward healthy, beautiful smiles and making a positive impact on their lives. My proudest moments as a dentist are when I can unveil a new smile for my patients. That moment when they look in the mirror and see their results…it means everything to me. I own my dental practice in Woodland Hills, CA, and when I’m not there, I love spending time with my family, including my wife, Tasha, young daughter Maddy, and our toddler Jameson. I also enjoy continuing education and recently joined the Spear Study Club. To relax, I like to build things, hike, and run with my dogs.